Last week I was in the Lake District. If you are expecting a blog post with lots of large sweeping mountain landscapes then you’ll be disappointed. Instead here are some small-scale landscapes; the landscapes of fungi, taken using my new Olympus macro lens. 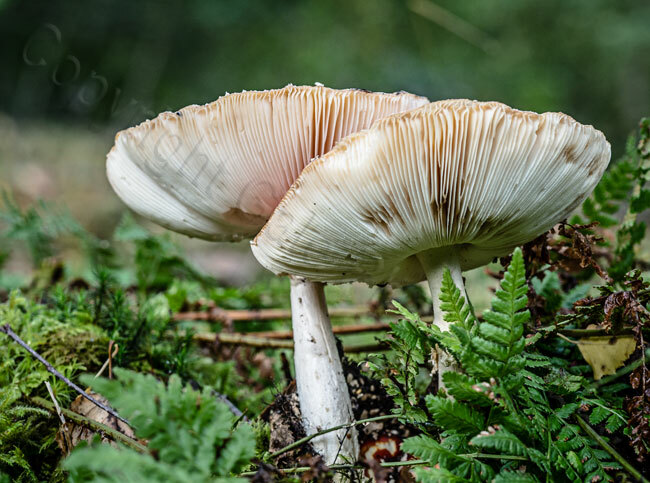 Autumn is a great time for fungi as the cool damp conditions are perfect for their growth. The Lake District certainly does damp very well. The water for those lakes has to come from somewhere! I visited Brantwood, the Victorian art critic John Ruskin’s house near Coniston, and in the garden there were lot of fungi. There’s a simple rule with fungi – if you don’t KNOW what it is then don’t touch it or eat it. 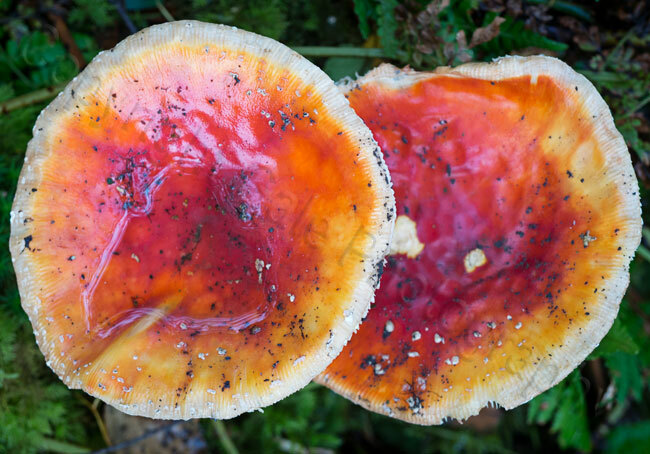 Eating some fungi can kill you. I’m not very good with fungi identification, but I think that these are fly agarics. I was taken with their bright colour and the way that one has punched a hole through the edge of the other. The gloomy lighting conditions under the tree canopy were challenging as I had no tripod with me, so the depth of field is limited. One way round the depth of field issue is to get the subject parallel to the plane of the sensor. I moved to shoot from above. It’s now a pattern picture and a bit ambiguous as you can’t see the stalks. I did wonder why only one mushroom cup had water in it? Finally I dropped a bit lower and viewed them from below. The strong red colour is no longer visible, but the gills are lovely. Being lower gave me the chance to support the camera a bit more and use a smaller aperture. The angle of the lower cup is now clearly visible, showing why the water drained away. 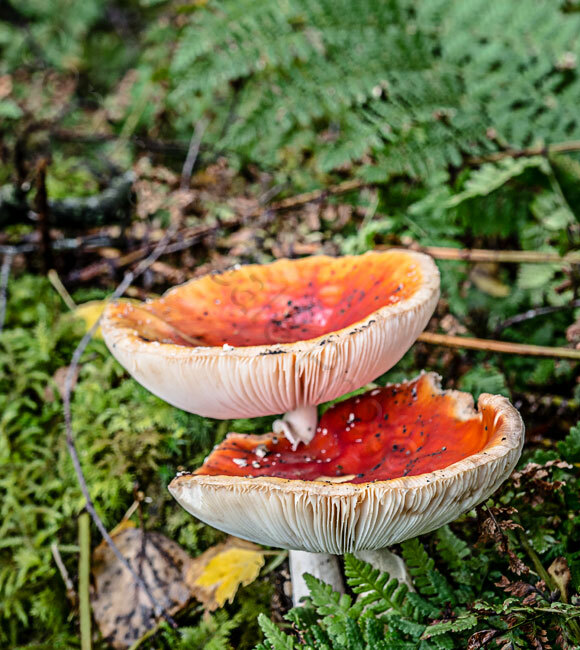 Now it’s autumn why not get out and have some fungi fun?